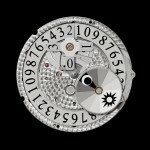 So often in watchmaking simplified mechanisms are the most complex of all. 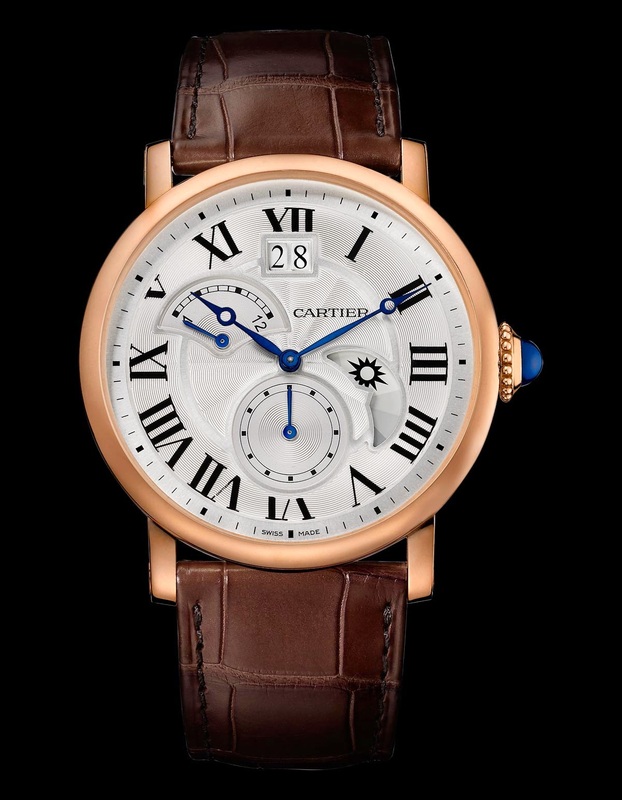 Such is the case with the new Cartier Rotonde de Cartier Second Time-Zone Day/Night model which enables operation of all its functions via one single supremely elegant cabochon-set push-piece. 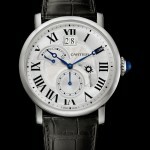 Cartier’s Rotonde de Cartier collection is a diverse omnibus of superbly complex timepieces including perpetual calendar models, mystery dial arrangements and artistic creations – all of which have found a home within the satisfyingly rounded Rotonde watchcase which always manages to keep its handsomely stylish appearance, regardless of its dial-side aesthetics. The ability to indicate the time in more than one location is a highly useful function on a wristwatch, and naturally most second time-zone models give this feature prominence on the dial – not so this piece which displays its second time-zone via a subtle retrograde indication which arcs from a 1 to 12 scale on the upper left of the dial. In addition to the hours and minutes which are indicated using splendid little apple-shaped hands, three other indications take up position on this beautifully arranged dial. At 6 o’clock there is a small seconds subdial, at 4 o’clock there is a day/night indication and a generously proportioned date window dominates the upper dial at the 12 o’clock position. 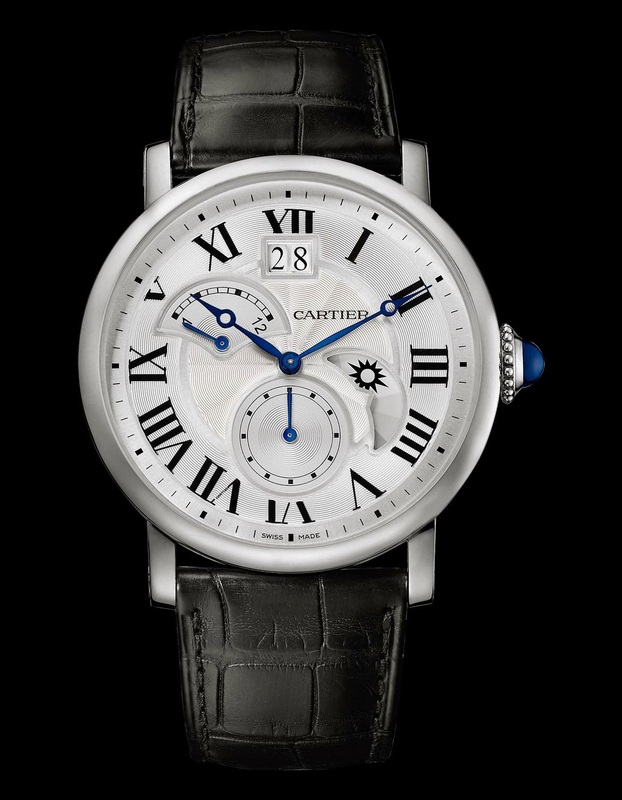 In order to produce an uncluttered dial, for this model the indications are laid on top of some of the brand’s signature Roman numerals which does dilute their impact somewhat, however enough of their formal character remains to ensure that this piece still has an instantly recognisable “Cartier” face. 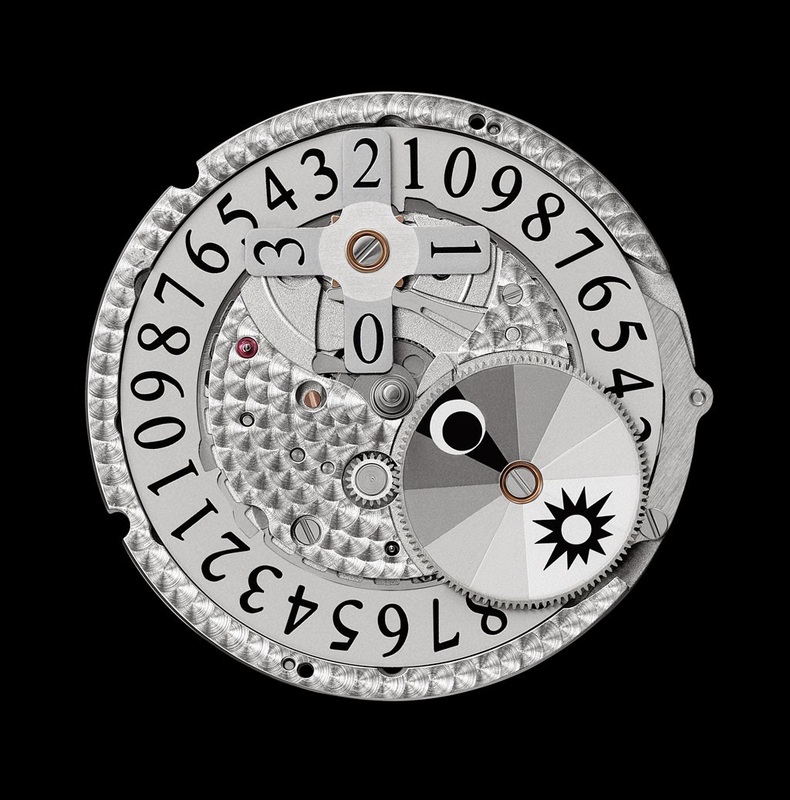 Each dial has been decorated with either flinqué or guilloché techniques depending on the model, and each indication has been recessed adding depth and beauty. At the dial edge a minute circle gives a touch of clarity while beyond this the neat rounded rim of the case provides a perfect frame. 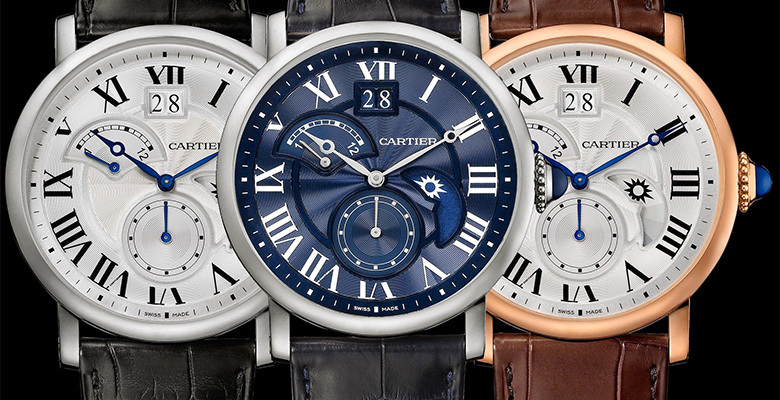 Although this model offers an ample selection of indications, each function can be accessed using a single push-piece operation, a simplification which demonstrates the inventiveness of Cartier’s watchmaking division. 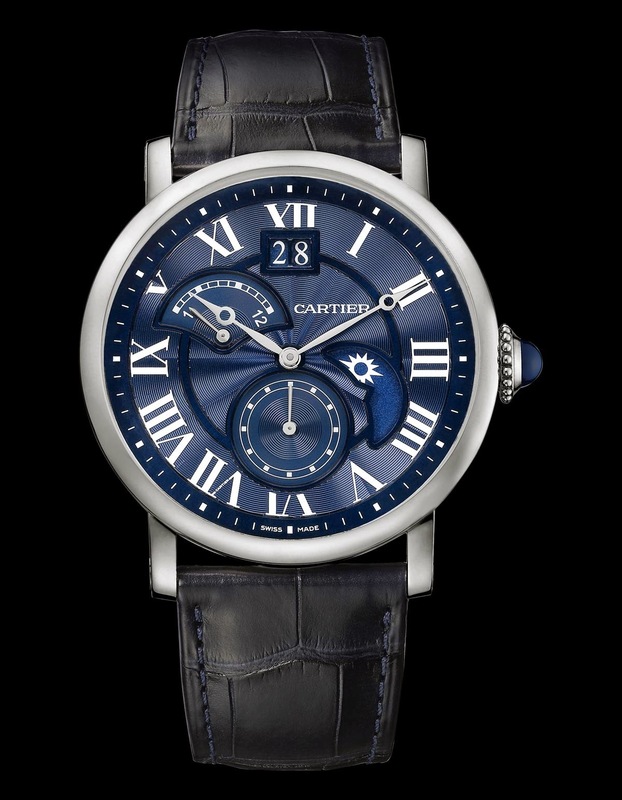 The development of the Cartier self-winding 1904-FU MC which provides power to this new addition to the portfolio, has taken several years and marks a first for the company. Three options of this Cartier Rotonde de Cartier Day Night model will be available each with cases measuring 42mm – an 18-carat pink gold edition with silvered flinqué dial and brown alligator strap priced at $26,000; a stainless steel case option with silvered flinqué dial and black alligator strap priced at $9,560 or a magnificent 18-carat white gold edition limited to 200 pieces which features a blue guilloché dial presented on a black alligator strap priced at $27,800. Johnny McElherron was busy minding his own business as a successful company director, when one day he fell in love with watches. So deeply that soon after his eureka! moment he established The Watch Press as a vehicle where he could indulge his passion with gusto. What his eye beheld he would write about, in his own unique style, and in time his work penetrated through to numerous national and international mainstream and online publications. 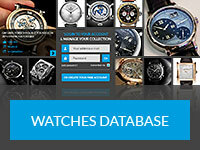 Today Johnny creates engaging content for watch industry clients, and in 2014 joined forces with the highly respected watch industry specialists Delos Communications, with whom he works to provide Delos clients with high quality content to ensure no part of their company message gets lost in translation.